BRUSSELS, December 4. /TASS/. NATO gives Russia the last chance to save the Intermediate-Range Nuclear Forces (INF) Treaty, NATO Secretary General Jens Stoltenberg said on Tuesday following a meeting of NATO foreign ministers in Brussels. Earlier in the day, US Secretary of State Michael Pompeo said his country was ready to withdraw from the treaty if its demands are not met within 60 days. "Russia now has a last chance to come back into compliance with the INF Treaty but we must also start to prepare for a world without the Treaty," Stoltenberg said, adding that all NATO members agree that "the US abides by the treaty and Russia does not." "We call on Russia to return urgently to full and verifiable compliance with the INF Treaty," he added. "All missiles are dangerous, but these missiles are in particular dangerous, because they are hard to detect, they are mobile, they are nuclear-capable, they will reduce the warning time, they can reach European cities, and, therefore, they also reduce a threshold for the potential use of nuclear weapons in a conflict " the top NATO official went on. "It's up to Russia now to preserve the INF treaty, they have the last chance to show and demonstrate in a verifiable way that they comply with the treaty, but we also have to prepare for a world without the treaty." He said the NATO allies "have all developed a set of responses." "We will to this in a measured, considerate way, because this is very serious and we need to analyze the consequences of each and every step," Stoltenberg said. "We also have to prepare to a world without the treaty." "The US has raised the matter formally with Russia at senior levels more than 30 times. Other Allies have raised it with Russia too. We did so, a few weeks ago, in the NATO-Russia Council here in Brussels," Stoltenberg said. "So Allies will continue to work for a better relationship with Russia. We will continue to engage, including through the meetings of the NATO-Russia Council." 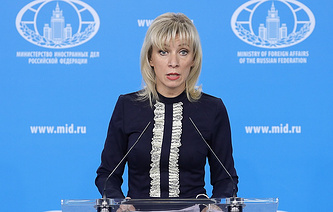 The US top diplomat told the NATO meeting earlier in the day that Washington "has found Russia in material breach of the treaty" and will suspend its obligations "in 60 days unless Russia returns to full and verifiable compliance."